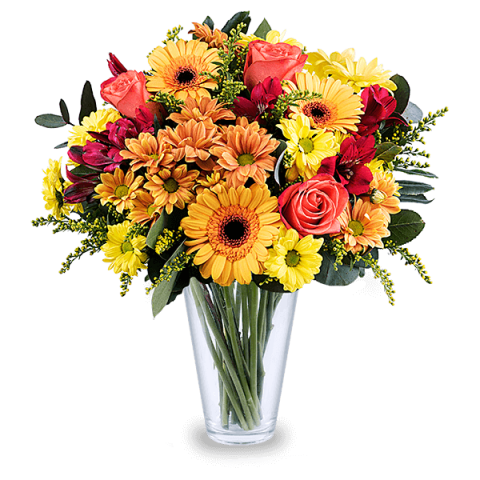 Make someone’s special day even more brilliant with our arrangement of bright orange roses and chrysanthemums dancing playfully with mini gerbera and goldenrod. Bring joy to a birthday, an anniversary or anywhere you send this magnificent mango coloured bouquet. The order was delivered on time, the flowers were perfect!